The discovery took place at the University of Newcastle in England. They found that sea-kelp contains alginate, which is a natural fibre and stops fat absorption at a far more convincing rate than any obesity treatment presently available. Alginate is odour-less and colourless and so it would make a perfect food additive. Alginates are a high fiber, low-calorie and zero fat organic product. Their performance with fat molecules would make it a massive contributor to the weight loss industry where obesity is now a major world-wide problem. There is yet more evidence looming of the fat loss possibilities of seaweed. This is due to a compound called fucoxanthin. This is found in seaweed and seems to have the quality of stopping people from gaining weight. It is found in the highest amounts in wakame, which is a brown seaweed that is often used to flavour soups. So far, tests have only been carried out on animals, but in all cases, rats and mice lost abdominal fat and up to 10% of body weight. How it functions is still unclear but it seems to stimulate a protein called UCP1, which then increases the fat-burning rates of adipose tissue, which is found in the abdomen and is closely linked to diabetes and heart disease. You would need to eat a very large amount of wakame to obtain enough fucoxanthin to have an effect, but if the tests prove effective it could make a very impressive,and natural, supplement or weight loss pill. Iodine has been distilled from seaweed since the 1800’s. Iodine is the main mineral responsible for helping the thyroid to create thyroxine, which in turn helps the thyroid gland to regulate metabolism and cholesterol. Healthy thyroid function helps weight loss and boosts energy levels, libido is boosted too. If iodine is in too little supply the result can be fatigue, weight gain and goitre which is a swelling of the thyroid gland. Seaweeds are brown, green and red. Red and brown are only found in sea water but kelp is found in fresh water too. All are safe to eat providing they come from unpolluted water. Nori usually comes in flat sheets which are dried. 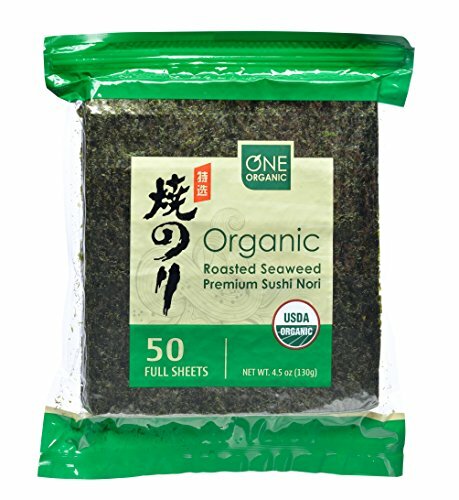 It has become popular with the increase in sushi consumption across the globe as it is nori seaweed that wraps the rice for sushi. Wakame is full of goodness and can be used for healthy snacks and salads. It is often used for soups and particularly Miso soup, which is a traditional eastern soup. Dulce is found off the coast of Ireland, Scotland and Wales and Canada. It is rather salty tasting and can be used as a salt substitute. Kombu is a kelp and good for healthy thyroid function and for lowering blood-pressure and cholesterol. Hijike is mild flavoured and high in Calcium and Iron. It will swell to 3 or 4 times its size when added to water and is used commercially as a thickening agent. It also has potential in the weight loss industry as an appetite suppressant. There are many ways of including seaweed in your diet, combined with other healthy foods you will have a tasty and highly nutritious snack or meal. With the astounding weight loss and health benefits of seaweed it seems destined to become a more common addition to our diets.